Millions of children receive a substandard education. The pupils at Alperton Community School in Brent, northwest London are among the most disadvantaged children in the UK. Around 35 different languages are spoken in the secondary school, and for the overwhelming majority of students – 85% – English is an additional language. Many live in poverty, sharing a home with up to five other families, and some are exposed to gang violence. For some of the pupils starting at Alperton Community School, it’s often the first time they have been inside a British classroom. They feel intimidated and isolated, and breaking down those barriers is no mean feat. But they have the good fortune to be taught by the world’s best teacher. 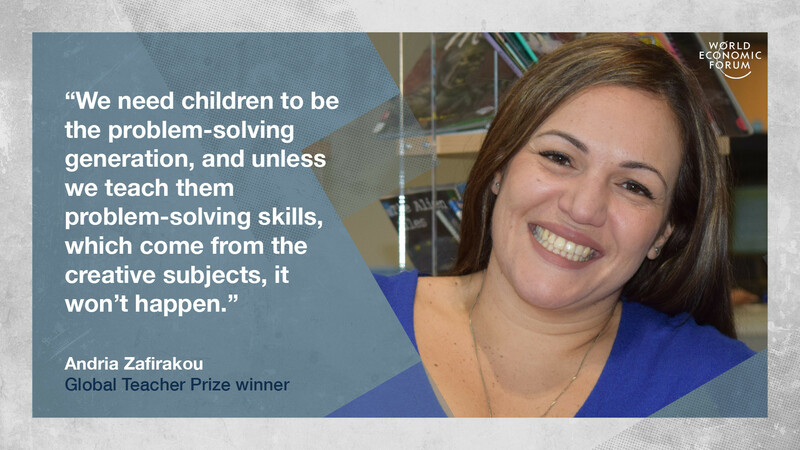 Andria Zafirakou, the 2018 winner of the Global Teacher Prize, spoke to the World Economic Forum about the key to unlocking these children’s futures. Education charity the Varkey Foundation set up the $1m prize to recognize the importance of great teachers. Zafirakou won the award not only because of her passion and dedication to her field, but also because of the enormous effort she puts into creating an inclusive and cohesive classroom. For the last 12 years, she has taught art and textiles at Alperton. As well as being a form of artistic expression, Zafirakou believes art is fundamental to children’s development – and even life-changing. 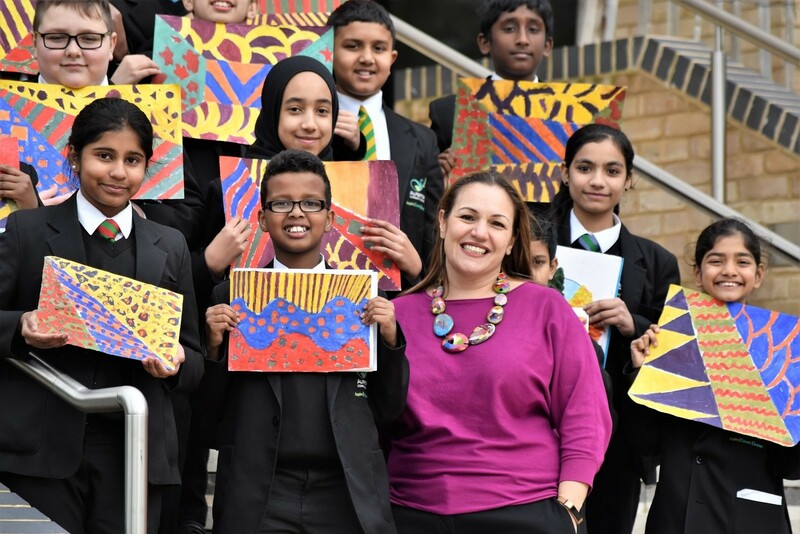 One of the most obvious examples of the life-changing power of art, Zafirakou says, is the impact it has on students with special educational needs. “(These children) may not be achieving at the same rate and to the same standard as the other students in their cohort. But in art, they get more time, and they can learn at their own pace. When you’re learning at your own pace, you’re producing the work you want to produce and you feel proud of the outcome. Since winning the prize Zafirakou has been on a whirlwind schedule of appearances, speeches and conferences – “I’m keeping a list but I've lost count, it could be 100” – to spread her message about the importance of art in education. But it’s not just inclusivity that art fosters, it also helps children develop the skills they need in order to thrive in the Fourth Industrial Revolution. But while governments and education leaders chase PISA (Programme for International Assessment) scores and, in the UK and some other countries favour rote learning of maths, creativity is taking a back seat. According to Zafirakou, governments are wary of art because, unlike in mathematics or science, achievement is hard to measure. But she points to the results of her own school, which has prioritized the arts. Last year Alperton was shortlisted for “Secondary School of the Year” in the TES School Awards. The school also achieves outstanding GCSE results – exams taken by students aged 14 to 16 in England, Wales and Northern Ireland – and is ranked in the top 1 to 5% of all schools in the UK for improving children’s achievement. Even PISA, which is better known for measuring students’ maths, reading and science abilities, is recognizing the importance of also developing their creativity. By 2021 it will make creative thinking the “innovative assessment domain” of their testing. Few would disagree with Nelson Mandela’s assertion that “education is the most powerful weapon which you can use to change the world”. Indeed, the whole premise of the Global Teacher Prize is to give the profession the recognition it deserves. Yet teaching is in trouble. Across the world, millions of children receive a substandard education. And the problem is compounded by a shortage of teachers. 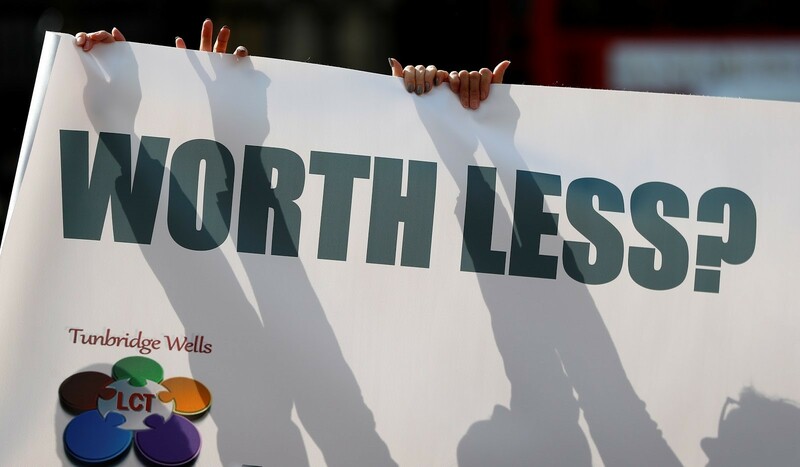 In the UK thousands leave the profession every year citing unbearable workloads and pressure, while the US has seen strikes over poor pay and conditions. To make matters worse, education funding is, in many countries, stretched to breaking point and the focus on STEM skills has led to schools dropping arts subjects from their curriculums. “The pressure is so intense because we are held to account by the results of our students and how well we do as a school. Funding cuts have crippled us and the first things to go are the valuable support staff and the arts because they’re not seen in our country as being a necessity,” Zafirakou explains. Despite the profession’s many challenges, Zafirakou couldn’t imagine doing anything else: “Teaching wasn’t a choice; it was destiny”. She recalls her mother and father returning from a parents’ evening with a message from her teachers: “Stop telling us what to do”. She was seven years old at the time. Thirty London schools are already involved, and she has plans to extend the programme throughout the UK. The aim is to not only raise the profile of the arts, but of teaching too. In an ideal world, all teachers would be acknowledged in the way Zafirakou has been since she took home the prize. “I don’t think there is any difference between me and any other teacher,” she says. “It’s a wonderful job but it’s tough. No-one’s counting how many hours you put into your school day, and you’re dealing with the emotional part of helping a child, especially if they have complex needs or issues. Zafirakou is so concerned for the safety and wellbeing of her pupils that she escorts them to the bus after school to ensure they aren’t targeted by the gangs in the area. She has also learnt to say “hello”, “goodbye” and other basic greetings in many of the languages spoken at her school, which helps students to feel welcome. At the start of this year Andria Zafirakou will travel the world, including visiting the World Economic Forum Annual Meeting in Davos, to spread her message about the importance of art in education.